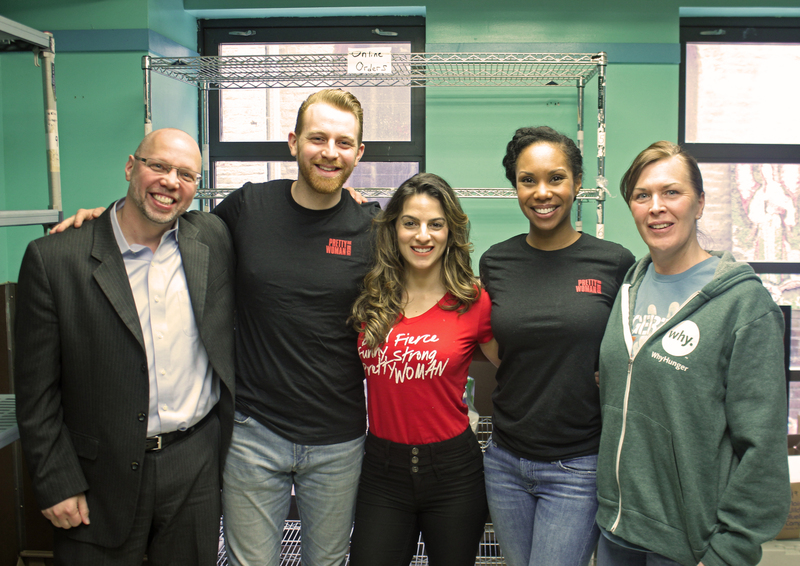 Last week, we officially launched our partnership with Pretty Woman: The Musical at a volunteer event at New York Common Pantry. The partnership aims to raise funds and awareness about hunger and the sustainable solutions that address the problem at its root. WhyHunger staff and executive director Noreen Springstead, along with cast members Lauren Lim Jackson, Renee Marino and Matthew Farcher from Broadway’s Pretty Woman: The Musical, volunteered at the local food pantry which aims to reduce hunger across NYC while promoting dignity, health and self-sufficiency.